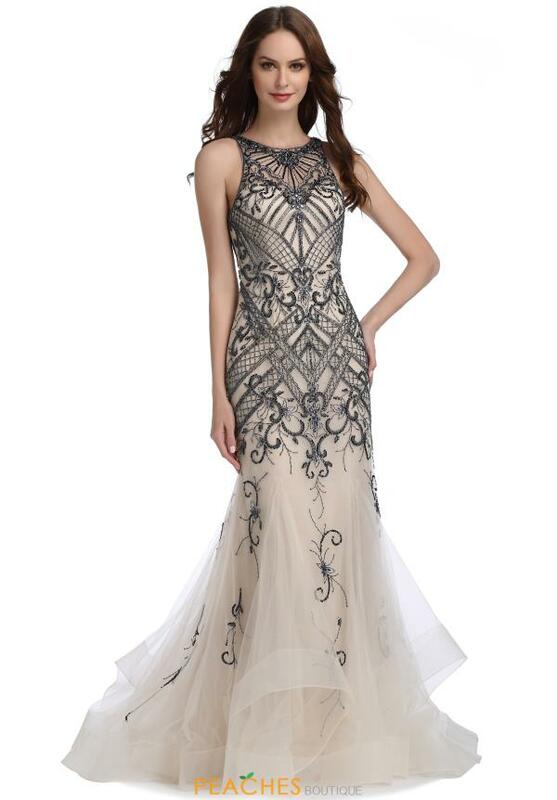 Make an extravagant entrance in this breathtaking Romance Couture dress N1482 at your next event. Elaborate bead work drapes throughout the entirety of the dress, decorating the sheer neckline and accentuating the simpler mermaid skirt. A horsehair lining gives you a romantic touch to finish off your look. Check out more Romance dresses at Peaches Boutique in Chicago.